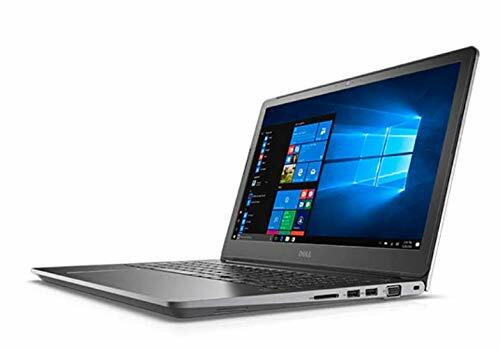 Dell Vostro 15 5000 laptop: perfect for home and home office computing.The intel Core i5 processor and 8GB of DDR4 RAM deliver smooth graphics,this Dell Vostro 15 laptop has a 15" Anti-glare Display with up to FHD 1080p resolution offers rich viewing when you're working on spreadsheets, budgets or email. 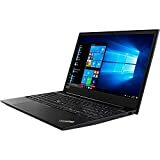 Specifications: Processor: 7th Generation Intel Core i5-7200U Processor (2.50GHz, up to 3.10GHz with Turbo Boost, 3MB Cache) Screen: 15.6-Inch FHD (1920 x 1080) Anti-Glare LED-Backlit Display Memory: 8GB DDR4 Storage: 256GB SSD Optical Drive: None Graphics: Intel HD Graphics Communications: 802.11ac Wireless LAN, Bluetooth 4.2 Ports: two USB 3.0 ports and an SD media card reader, HDMI and VGA ports support peripherals and simplify connections to a projector for presentations or a secondary monitor for increased productivity Webcam: Yes Card Reader: SD media card Reader Usage: Business AC Adapter: 45-watt AC adapter Operating System: Windows 10 Pro 64-Bit Battery: 40 Whr, 4-cell battery (removable) Dimensions (W x D x H): 14.92" x 10.28" x 0.93" Weight: 4.18lbs. Included standard keyboard. 7th Gen Intel Core i5-7200U mobile Processor ultra-low-voltage platform. Dual-core, four-way processing provides maximum high-efficiency power to go. Intel Turbo Boost Technology delivers dynamic extra power when you need it.15.6-Inch FHD (1920 x 1080) Anti-Glare LED-Backlit Display. 802.11AC + Bluetooth 4.2, Dual Band 2.4&5 GHz, 1x1; two USB 3.0 Ports and an SD media card Reader; built-in HD Webcam and waves MaxxAudio Pro audio enhancing; HDMI and VGA ports.